Hi Sara, I think your blog is fantastic -- always blows me away! Do you know what was happening in these? Was this on the way to the Guildhall -- or back? Is George driving in the bottom picture? 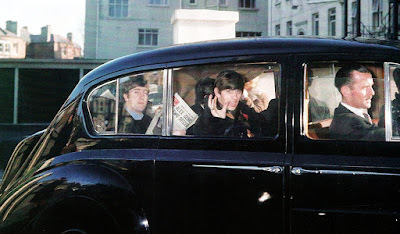 Is that Paul in the back left of the car? Who is in the front right?